Nina Irizarry says she was sexually harassed in various jobs as a contractor but didn't have a human resources person to turn to or an employer to sue. The independent workforce already numbers in the tens of millions of workers, and as it continues to expand, it raises questions regarding what to do about the gaps in the law that leave those workers potentially vulnerable. For Nina Irizarry, this lack of legal rights stands at odds with the #MeToo campaign to openly discuss the problem of sexual harassment. When Irizarry was 18, her life revolved around her work as a contract singer and dancer for a salsa band in New York City that, at the time, was on the cusp of signing a record deal. But then, she says, her manager started groping and harassing her, prompting her to quit and leading to a bout with depression. "It had a disastrous effect on my life, just trying to rebuild my life after," Irizarry says. A few years later, in a different job, the grandfather of a child Irizarry was tutoring started harassing her, she says. She considered posting about it online. But Irizarry, now 33 and a freelance writer, says she decided against it. "I thought about it, and I was like, 'I don't want to post that on my social media,' " she says, aware that potential clients might see it. "It can change your reputation." There was no human resources person Irizarry could turn to and, as a contractor, she had no employer to sue. "I really wish I could've protected myself in both situations," she says. "I feel like I would've had a sense of agency and would've felt in control of my life." Full-time employment has been the norm over the last century, and many of the country's workplace laws and benefits systems were built around that model. Now, with the independent workforce on the rise, industries as diverse as manufacturing, accounting, education and warehousing are filling more positions with contract workers. Gig platforms that allow consumers to summon drivers and handymen over an app are only accelerating that. "You're cut out of a lot of the basic employment protections, and that can be everything from protection to make sure you're getting paid on time [to] protections against harassment, [unsafe] workplace, discrimination," says Caitlin Pearce, executive director of the Freelancers Union, which has 350,000 members. There are very few workplace laws that apply. One of them is an 1866 statute prohibiting race discrimination in contracts. Separately, New York City and three states — California, Washington and Pennsylvania — extend other workplace protections to contractors. What doesn't apply? The Americans with Disabilities Act, the Age Discrimination Employment Act, and Title VII of the Civil Rights Act, as well as various workplace health and safety protections. Employers argue that contractors, by definition, control their own working conditions and as free agents, need fewer protections. "The same protections where the supervisor and the manager control the workplace, control the worker, is not relevant to the independent contractor relationship," says Camille Olson, an attorney who represents employers. But some question whether many of today's contractors enjoy true independence and control over their own work. The contractor label is often misused, says David Weil, dean at the Heller School at Brandeis University and a former Labor Department official under President Barack Obama who enforced fair wage laws. Weil says many employers are simply labeling more jobs as contract positions to shift the cost and risk onto workers, who are then left with fewer benefits and rights. "Most people don't recognize how much the workplace has changed," becoming so contractor-dependent, he says. "The recourse that you're historically provided isn't there either." Rep. Eleanor Holmes Norton, a Democrat who represents Washington, D.C., in the U.S. House, wants to change that. This year, she introduced a proposal to extend discrimination protections to contract workers. "Perhaps employers are confused, perhaps they're taking advantage of the fact that contract employees aren't so well defined in the law, but for those reasons, we need to clear up what a worker is in the United States of America today," Norton says. The Equal Employment Opportunity Commission, which enforces workplace civil rights laws, does not keep data about complaints filed by contractors, precisely because, for the most part, those workers aren't eligible to bring them. This lack of data masks a big problem, says Natalie Franke, who manages the user community at HoneyBook, a site for freelancers in creative fields like design or photography. Recently, an unscientific survey found over half of HoneyBook respondents experienced sexual harassment. But, Franke says, the vast majority reported sticking it out, despite the harassment. "There is fear around how the client will respond; there's fear now around even reviews," which could hurt future business, she says. Franke, a former wedding photographer, says she was physically molested during one of her gigs and that she empathizes with the workers' plight: "The only other individuals who would understand what they're going through are competitors." Franke urges freelancers to do what they can: seek emotional support, and include anti-harassment and discrimination clauses in their contracts. Compared to people who are hired as employees, contract workers and freelancers have few legal rights in the U.S. For example, a contract worker doesn't have the right to sue for sexual harassment or gender discrimination. Workplace civil rights laws do not apply. As NPR's Yuki Noguchi reports, tens of millions of workers occupy this gap in workplace laws. 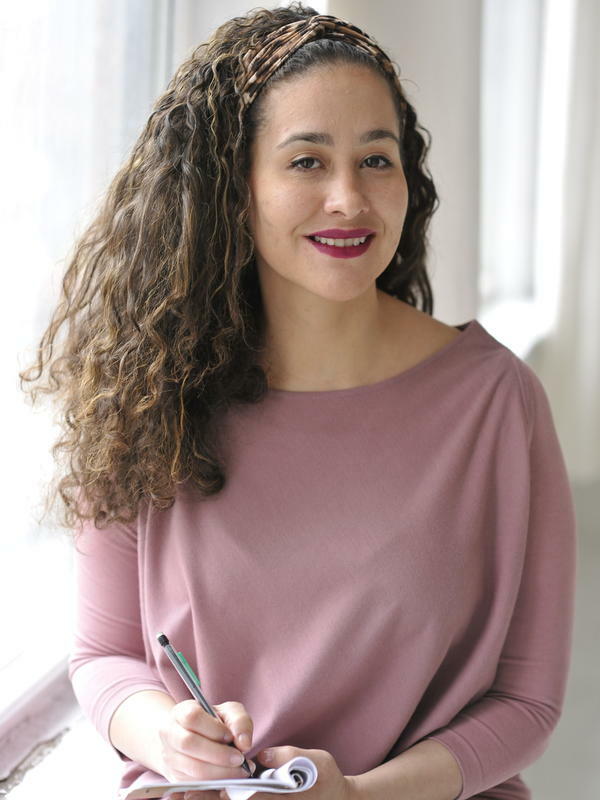 YUKI NOGUCHI, BYLINE: At age 18, Nina Irizarry worked under contract as a singer and dancer for a salsa band in New York City. NINA IRIZARRY: I was training nearly every day. I would commute nearly two hours to my band practice. NOGUCHI: Her band was on the cusp of signing a record deal when her manager started groping and harassing her. IRIZARRY: It had a disastrous effect on my life - just trying to rebuild my life after. NOGUCHI: A few years later, it happened again in a different job - this time with the grandfather of a child Irizarry was tutoring. She considered posting about it online. But Irizarry, now 33 and a freelance writer, says she decided against it. IRIZARRY: I thought about it. And I was like, I don't want to post that on my social media. It can change your reputation. NOGUCHI: There was no human resources person Irizarry could turn to. And as a contractor, she had no employer to sue. IRIZARRY: I really wish I could have protected myself in both situations or just - I feel like I would have had a sense of agency and would have felt in control of my life. NOGUCHI: Over the last century, full-time employment has been the norm. Now the independent workforce is on the rise. Industries as diverse as manufacturing, accounting, education and even warehouses are filling more positions with contract workers. In less than a decade, contract workers will outnumber employees. And this heightens concerns about gaps in the law that leave those workers potentially vulnerable. Caitlin Pearce is executive director of the Freelancers Union with 350,000 members. CAITLIN PEARCE: You're cut out of a lot of the basic employment protections. And that can be everything from protection to make sure you're getting paid on time, protections against harassment, safe workplace, discrimination. NOGUCHI: There are few workplace laws covering contract workers. One of them is a Civil War-era statute prohibiting race discrimination in contracts. Separately, New York City and three states - California, Washington and Pennsylvania - extend other workplace protections to contractors. Employers argue contractors control their own working conditions. As free agents, they need fewer protections. Camille Olson is an attorney representing employers. CAMILLE OLSON: The same protections, where the supervisor and the manager control the workplace - control the worker, is not relevant to the independent contractor relationship. NOGUCHI: But some question whether many of today's contractors enjoy true independence and control over their own work. David Weil is dean at the Heller School at Brandeis University and a former Labor Department official under President Obama. DAVID WEIL: Most people don't recognize how much the workplace has changed. NOGUCHI: Weil says that many employers are simply labeling more jobs as contract positions in order to shift the cost and risk onto workers. Washington, D.C., Congresswoman Eleanor Holmes Norton wants to change that. This year she introduced a proposal to extend discrimination protections to contract workers. ELEANOR HOLMES NORTON: Perhaps employers are confused. Perhaps they're taking advantage of the fact that contract employees aren't so well-defined in the law. But for those reasons, we need to clear up what a worker is in the United States of America today. NOGUCHI: There's no government tracking of contract workers' complaints precisely because for the most part they can't bring them. Natalie Franke says this lack of data masks a big problem. Franke manages the user community at HoneyBook, a site for freelancers in creative fields like design or photography. A January survey found over half of HoneyBook members experienced sexual harassment. NATALIE FRANKE: There is fear around how the client will respond. There is fear now around even, you know, reviews. NOGUCHI: Franke says many stick it out and endure their pain privately. FRANKE: The only other individuals who would understand what they're going through are competitors. NOGUCHI: Franke urges freelancers to do what they can - seek emotional support and include anti-harassment and discrimination clauses in their future contracts. Yuki Noguchi, NPR News, Washington. (SOUNDBITE OF BLAZO'S "NATURAL GREEN") Transcript provided by NPR, Copyright NPR.